Lighthouses are remarkable things: steadfast and shining their light out amid the storms they guide us to safety. 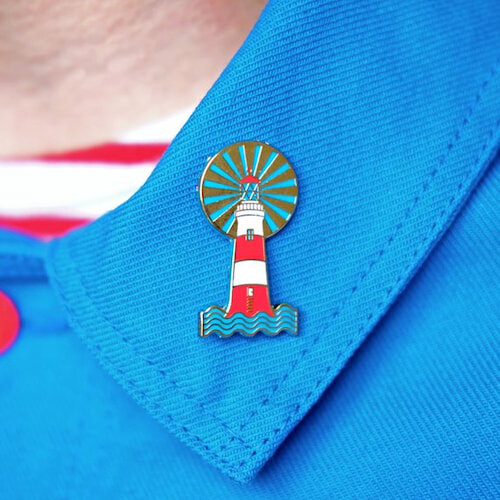 The lighthouse enamel pin is based on countless lighthouses, with a special nod to Smeaton's tower in Plymouth. It is made from high quality, hard enamel and features a metal clutch closure. This larger size pin measures 39mm high. Comes sealed in a cello sleeve on its own custom designed backing card.